Easy instructions for getting get a Free Circus Activity Book from Peta. 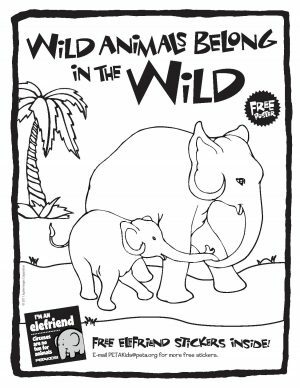 Filled with puzzles, word searches, and an entire comic, this activity book has everything that you need to start helping elephants and other wild animals who are abused in the circus. Learn why wild animals don’t belong in the circus by printing our circus activity book! PETA Kids is an animal rights organization that helps kids 12 and under learn all about how to help animals! We believe that it’s not cool to use animals for food, clothing, experiments, or entertainment or to abuse them in any other way. Animals are our friends, and we are doing everything we can to make the world a better place for them. Find out how YOU can help animals, too!